I have wanted to capture something beautiful and surreal into my works. They are solidified dreams. These scenes are built up using hundred years old Graal technique that congeal illustrations inside the layers of glass. Carousels and rainy town scenes lead in a house with no gravity. A dog turns into a wolf and runs to the woods. 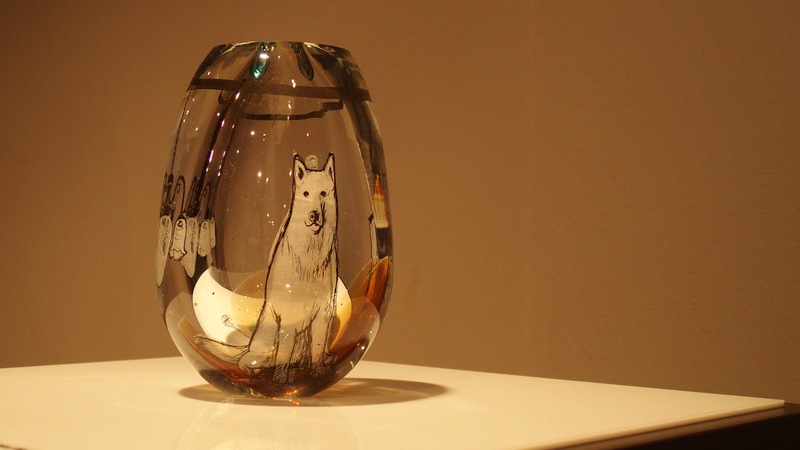 Works are exhibited in Glas Galerie Leerdam from August to September 2015. The rooms have no gravity. Something beautiful, quiet and forgotten lives there. It is a memory. A song that makes the world drift away.